The Milwaukee M12 LED Stick Light delivers best in class light output and unmatched versatility in a compact and durable design. The 2351-20 utilizes 3 powerful LEDs to provide optimal brightness and light coverage while the multi-position hook allows for hands free use. The M12 Stick Light features a replaceable, impact resistant lens, engineered to stand up to the toughest work conditions. The M12 LED Stick Light runs off of M12 REDLITHIUM batteries and carries a Limited Lifetime LED Warranty. Works with Milwaukee M12 RED LITHIUM Batteries (batteries sold separately). TRUEVIEW High Definition Lighting utilizes the most advanced lighting technology to deliver true representation of colours, optimized colour temperature, and even beam patterns all designed to improve productivity and safety. M12 12V Lithium-Ion Cordless 220-Lumen LED Stick Light (Tool-Only) The Milwaukee M12 LED Stick Light delivers best in class light output and unmatched versatility in a compact and durable design. The 2351-20 utilizes 3 powerful LEDs to provide optimal brightness and light coverage while the multi-position hook allows for hands free use. The M12 Stick Light features a replaceable, impact resistant lens, engineered to stand up to the toughest work conditions. The M12 LED Stick Light runs off of M12 REDLITHIUM batteries and carries a Limited Lifetime LED Warranty. Works with Milwaukee M12 RED LITHIUM Batteries (batteries sold separately). TRUEVIEW High Definition Lighting utilizes the most advanced lighting technology to deliver true representation of colours, optimized colour temperature, and even beam patterns all designed to improve productivity and safety. M12 12V Lithium-Ion Cordless 220-Lumen LED Stick Light (Tool-Only) is rated 4.7 out of 5 by 72. Rated 5 out of 5 by HomeDepotCustomer from Bright.... Bright. Rated 1 out of 5 by Mayor from This product was good while it lasted. it now does not work. It was used three times. I charged t... This product was good while it lasted. it now does not work. It was used three times. I charged the battery but still nothing. I expected longer service out of a Milwaukee product. I have contacted Milwaukee. Rated 5 out of 5 by Adam78 from I just purchased this Milwaukee M12 LED light as I... 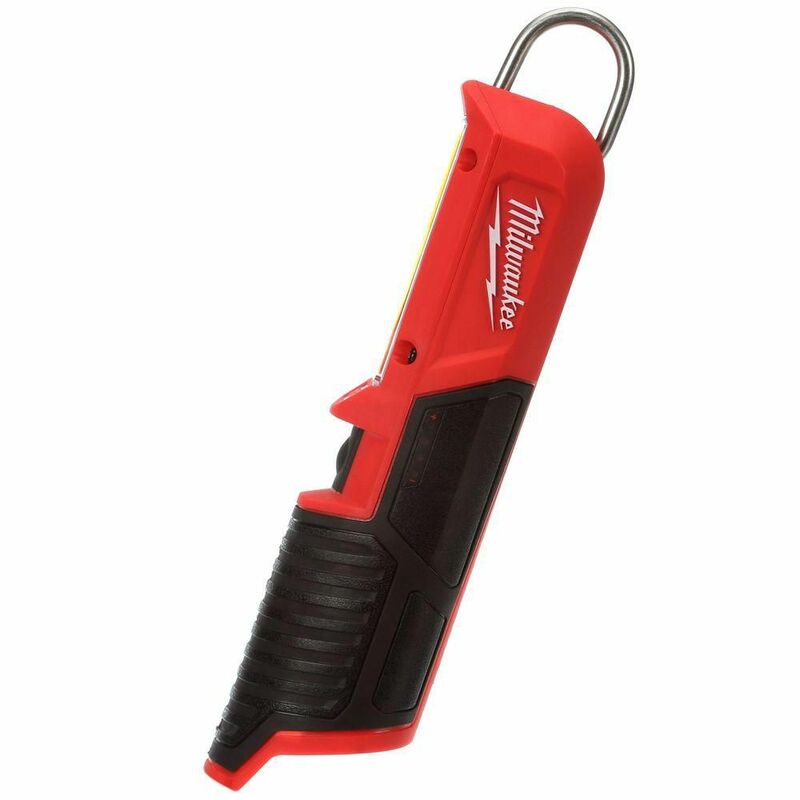 I just purchased this Milwaukee M12 LED light as I was in need of something small and that could stand on its own. For the price I think it should have come with the additional magnetic attachment. However I am pleased with the light output, and performance of the light. Rated 5 out of 5 by HomeDepotCustomer from Should have come with a magnet. Excellent otherwise.... Should have come with a magnet. Excellent otherwise.